On March 14th, Tedros Adhanom Ghebreyesus, the director of the World Health Organization, made a statement regarding the now eight month long outbreak of Ebola in the Democratic Republic of Congo (DRC). The number of cases have escalated to 1,017 in the last two weeks. 680 people have died–more than 100 of them children–making this the second largest Ebola breakout in history. The first in West Africa (Guinea, Liberia and Sierra Leone) from 2014 to 2016 killed over 11,000 people. The vaccine has been administered to a little over 87,000 people, and the pharmaceutical company producing the vaccine has only donated 133,000 doses. The vaccine used to prevent Ebola is not licensed yet and therefore cannot even be sold. Despite all this, Dr. Ghebreyesus is optimistic in his goal to end the outbreak in 6 months, “The global community must stay the course,”. He believes that foreign aid should continue the unparalleled efforts to combat the disease the same way they have been for the last eight months. His statement was in response to a previous statement made by the international president of Doctors Without Borders Dr. Joanne Liu, who said, “We’re not sure that if we keep doing what we’re doing [it] will lead us to the end of things.” Dr. Liu expressed concerns about the hostility in the regions where centers were destroyed by fires. She criticized the responders, not the people in the area and suggested a change in strategy to one that makes it apparent to the community that Ebola is the common enemy. In the same statement, Dr Ghebreyesus said, “This outbreak has gone on far too long. We owe it to the people of North Kivu to work with them in solidarity not only to end this outbreak as soon as possible, but to build the health systems that address the many other health threats they face on a daily basis.”. Eradicating the disease by earning the trust of the community seems to be a common goal but the methods on how to approach this differ among the two organizations. Efforts to combat the disease are failing because many people fail to understand the disease. They are skeptical of the responders and their government’s intentions. This skepticism is fueled by foreign aid organizations and the local police who, according to Dr Liu, have alienated the communities. Patients refuse to seek help in fear of being put in isolation units. This lack of trust can also be attributed to the high percentage of patients, about 25 percent, who became infected at the local health centers. Ghebreyesus’ claim that the current strategies are the best course of action is backed by all the lives saved and protected so far. “As we mourn the lives lost, we must also recognize that thousands of people have been protected from this terrifying disease,” said Dr. Matshidiso Moeti, WHO Regional Director for Africa. On the other hand, unless completely eradicated, the disease still runs the risk of spreading back to the areas that have managed to be rid of it. DRC’s warzones such as North Kivu and Ituri have made tracking the transmissions of Ebola difficult because the virus can spread through civilians and rebel groups on the move. Differences between two of the most vital organizations in the fight against Ebola makes it even more difficult to strive towards this common cause. 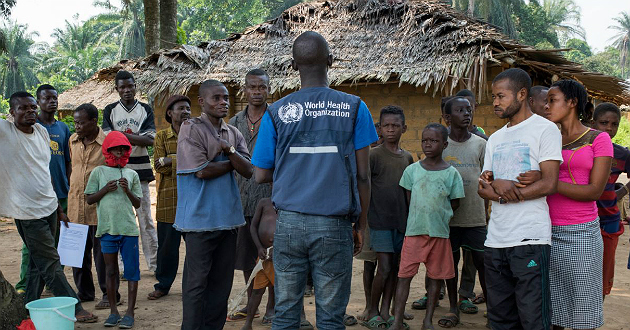 It needs to be apparent to the general DRC population that the health responders are not the enemy– Ebola is. The Congolese government and international health organizations need to build trust with the people in order to best protect them. Kerin Shilla is a sophomore pursuing a Bachelor of Arts in Political Science at Hunter College. By Ana Lita| 2019-04-06T01:01:09+00:00	April 5th, 2019|News-Articles|Comments Off on How Do We Best Approach the Rapidly Escalating Ebola Epidemic in DRC?